ANNE GREENE here. Scarlet O’Hara wasn’t the only one who redesigned curtains into dresses. World War II rationing brought shortages. 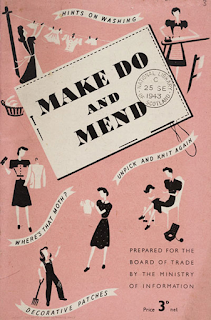 The government’s Make Do and Mend scheme encouraged women to recycle what they had, creating tailored suits from their husbands’ wardrobes or fashioning clothes from blankets. Women desired to be stylish and so they became extraordinarily inventive. Vogue and other magazines crammed their pages with ideas of how to turn old things into new, until making do became the rage. Soon after the United States joined World War II, the government created new rules for the garment industry that restricted the amount of fabric that could be used. 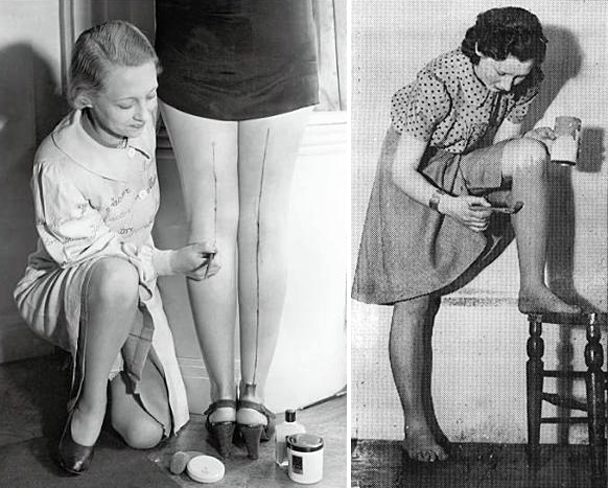 Dresses became shorter than what had been the normal prior to 1941 because the extra material below the knees was deemed wasteful in wartime. Government issued heavy fines for manufacturers who broke the rules. Some limitations included no hoods, one pocket, no shoulder tabs, sleeve circumference limited, no more than two buttons, no ruffles and lace, and many more. With ruffles and lace no longer available, hats became a way to express femininity. Civilians could no long use leather for shoes, for all leather went into manufacturing soldiers’ boots. With leather at a minimum, reptile skin and mesh became the main source of shoe material. The wedge shoe was born with cork replacing leather for the soles. Wedges, platforms, and peep-toed shoes grew popular. Thanks to Marlene Dietrich the wide fedora hat became a fad. With jewels and embellishments lacking, women turned to glamorous curls. 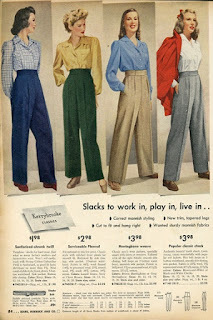 Trousers grew popular for women due to the increasing number of females in the workforce. Trousers became a fashion statement for women across the country, symbolizing independence and equality to men. American designers added accessories of pins with patriotic messages to clothing, hats, and scarves to jazz up women’s outfits. These accessories helped maintain the united patriotic front encouraged by the government. Due to the need for nylon and silk to make parachutes women had to give up these luxuries. The dramatically shifting lives of women dictated new trends. Hundreds of thousands of women working in industry found practicality key and wore a multitude of different types of overalls. 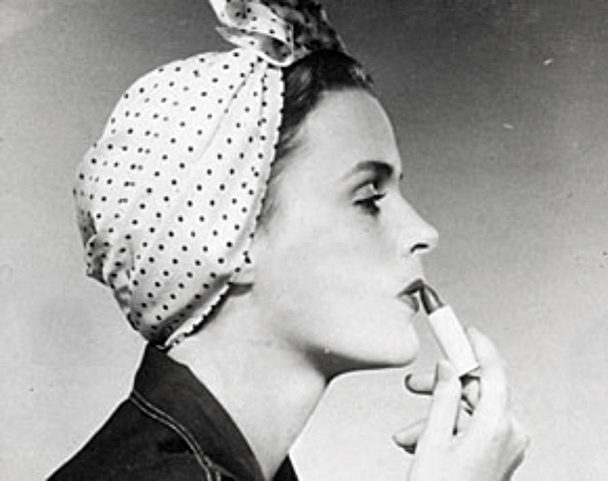 Headscarves offered women the opportunity to be creative and individual. And the colorful turban was born. Those looks became some of the most iconic trends of the 1940s. Sewing became a patriotic duty. A fad for patched clothes emerged. Women often sewed together garments from remnants, mixing and matching colors and patterns. Creative women cut down old garments to reuse the cloth and remake old clothes into fashionable ones. Due to the silk shortage, women shared wedding dresses and formalwear. 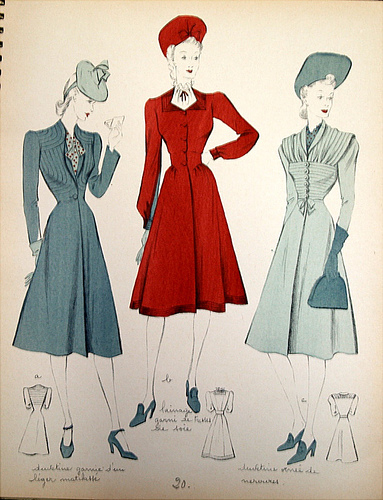 Women ditched the pleated skirts and voluminous sleeves. Dresses became sleek, slim fitting, and fell just below the knees. Embellishments became scarce. For the first time, women began wearing sleeveless and collarless dresses. Trousers, wide legged pants, and blue jeans grew popular. For the first time women mixed their wardrobes by matching different separates together to make appear as if they had a more diverse wardrobe. Women yearned for a more casual style of clothing, so designers created women’s sportswear. 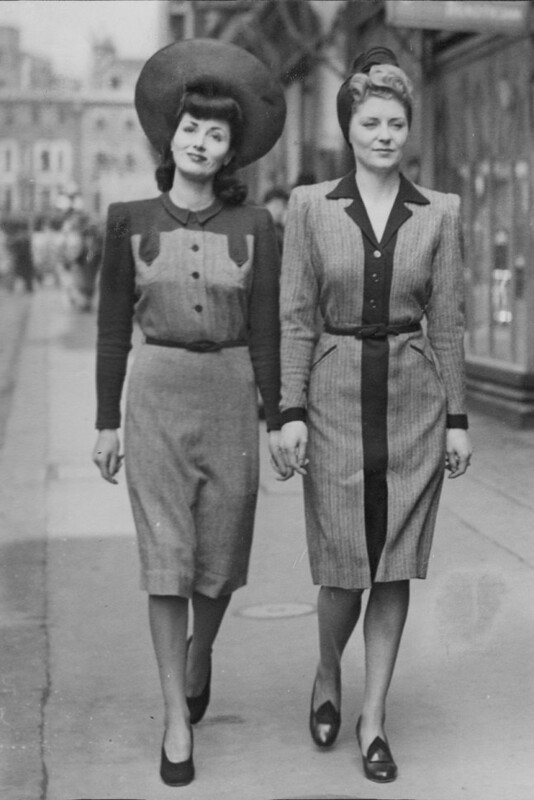 At World War II’s end, this clothing apparel became less popular. In 1947 Christian Dior created the new look with sloping shoulders (no shoulder pads) and narrow waists, formed by full skirts and full busts. And so the era of 1950s post war emerged. 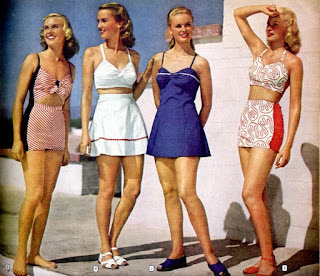 I personally love the 1950s look as classic fashion, and I think the 1940s look was glamorous. What era of fashion do you think was or is the most attractive? Leave a comment for a chance to win an autographed copy of ANGEL WITH STEEL WINGS. A story of a woman in a man’s domain set against the dynamics of World War II is a can’t-miss scenario. Angels With Steel Wings paints a vivid picture of courageous pilots facing death in the air while struggling with love on the ground, and wraps it up in a unique twist that will challenge all you knew about the “Greatest Generation.” Steeped in history and framed by faith, this is a tale that takes readers into a world now all but forgotten, and lands in a place that touches the heart in a special way. To know how far we have come, we must understand where we started, and Angels With Steel Wings takes us back on a thrilling trip in time that informs as it entertains. I think this is one flight you won’t want to miss. ANNE GREENE delights in writing about alpha heroes who aren’t afraid to fall on their knees in prayer, and about gutsy heroines. Her Women of Courage Series, first book, ANGEL WITH STEEL WINGS spotlights heroic women of World War II, and read her private investigating series, Handcuffed In Texas, first book HOLLY GARDEN, PI, RED IS FOR ROOKIE. Enjoy her award-winning Scottish historical romances, Masquerade Marriage and Marriage By Arrangement. Anne’s highest hope is that her stories transport the reader to an awesome new world and touch hearts to seek a deeper spiritual relationship with the Lord Jesus. Buy Anne’s books on http://www.Amazon.com. Type in Anne Greene. Visit Anne at AnneGreeneAuthor.com. and at @TheAnneGreene. I'm with you, Connie. I love the classic look of the 50s ala Audrey Hepburn. Love this post, Anne! I think fashion trends of the past are fascinating regarding how they reflect the economy and the cultural mores. I grew up in the 50's, so I too love the classic styles of that era, but I also love the femininity of the soft fabrics and curves of the 40's. 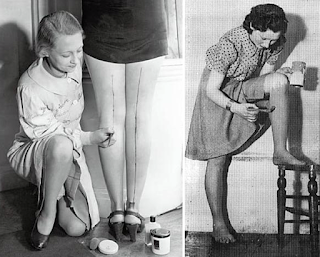 One thing I didn't like about the clothing of the 50's was the confining undergarments, such as girdles,waist cinchers, and garter belts. Ugh! Thanks for sharing! Hi Golden, I love almost all the older classic looks. Today's fashions are so hodgepodge and downright ugly. Hope designers take some art courses in beauty. Thanks for visiting. The styles of the 1950's were interesting. I was born in 59. Hi Kim, I'd love to see some of the 50s style return. Except for the shoes, I think today's style are fairly unattractive. Thanks for visiting. That's why I wear Jeans and T-shirts. Thanks for reminding me of the fashions of the 40's and 50's. I think they were classic styles and were the basis of many future creations. Hi Connie, I love having you visit here with me! I didn't like the look of the big shoulder pads in the 40st, but I think that evening style was glamorous. The ladies did well since we know of their rationing and the government's restrictions of fabrics. Hi Joye, Do you have any fashions from the 40s? I think women looked like women back then. Fun if you have some for costumes. Nice to see you here. 1930's, I was born decades too late. Oh Chris, I'm so sorry! Just kidding, of course!!! I had a friend who had fashions from almost every era. They were lovely garments. Nice to visit with you! Hi Sharon, so what decade of fashions do you like?? Since my knees are not as slender as I would like, I wasn't happy with short skirts. But long skirts are hot in the summer. I think I like classic and comfortable fashions with a touch of drama! I like the late 40s into the early 50s when women dressed up to go anywhere at all. They looked so conservative yet classy and feminine. Hi Laurie, Yes, women dressed to fly and travel and visit and just go shopping. I agree that was a fun time. Thanks for a great post, Anne. The 50's have my vote....a great time! HI Melanie, good to see you again! I too vote for the 50s - fashions were so distinctive, so classic, so lovely, as well as fun! A person can view a picture of those fashions and immediately pinpoint the era. 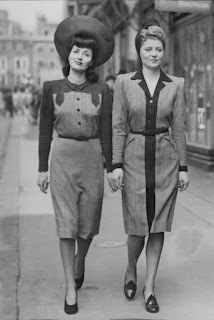 The war years saw a forced revolutionary change in women's fashions. that liberaed many. I'd gladly exchange all those undergarments worn earlier for trousers and the new sportswear. I like many of the hair styles. Don't care for the outrageous hats worn then. I still prefer the fashions of the 50's when women still wore a smaller hat and gloves. I think Grace Kelly was the epitome of the classic look. HI Pat, I think you hit the nail on the head with Grace Kelly! Also, I'd said Audrey Hepburn. Such lovely ladies. I think it's funny how women in England when they dress to kill for weddings and horse races wear those huge, crazy hats. Don't you just love it? I am attending our American Christian Fiction Writers conference starting tomorrow and lasting through Sunday. When I return, I'll drop all your names in a hat and select one to win Angel With Steel Wings. So long until then. Thanks for the informative article, Ann. I'm a fan, too, of Grace Kelly and Audrey Hepburn. Let's include Ingrid Bergman, too! Such lovely and elegant women. Oops, forgot to say, I posted the link on my Facebook author page. It really is a great article for WWII fans and the photos are a lot of fun, too. Enjoy ACFW! Thanks so much, Johnnie. I so appreciate you. Love both the 1940s and 1950s fashions. Thanks for the great post! Thanks Carrie, and thanks for visiting. 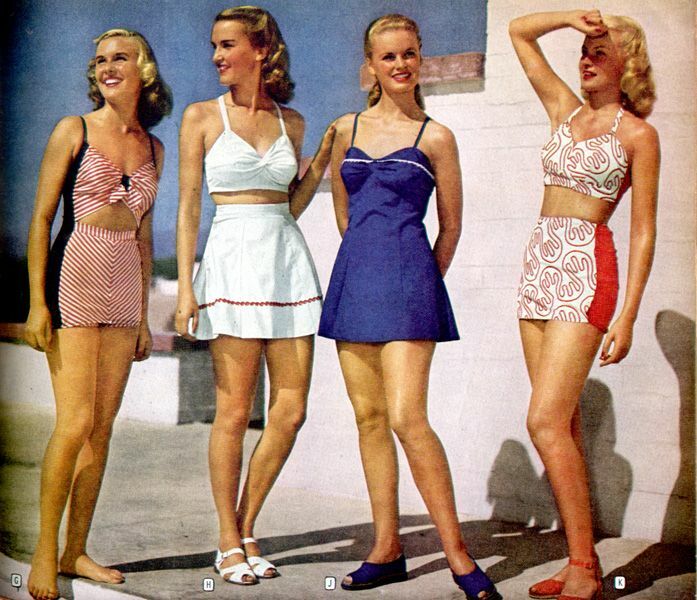 I love this post, Anne, and think the fashions of the 1950s looked like such fun! 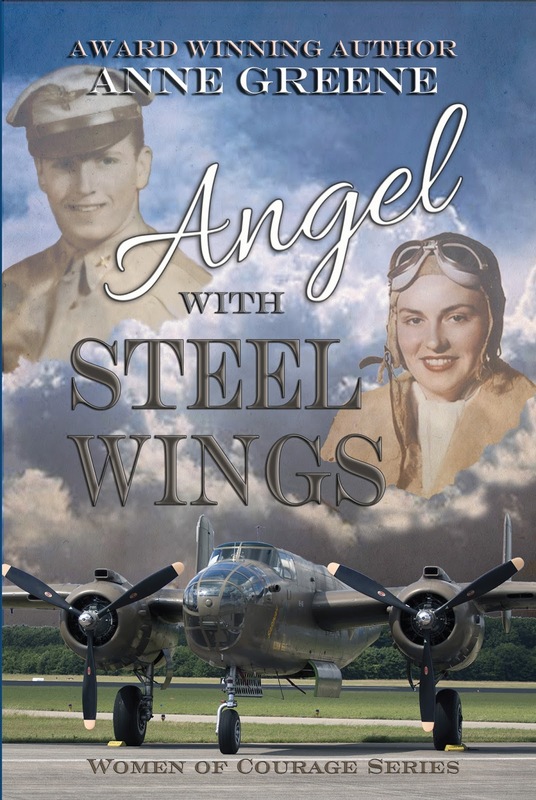 Thanks so much for the chance to win a copy of ANGEL WITH STEEL WINGS! Hi Britney, good to see you here! So glad you loved the post! I'm back from ACFW Writers' Conference. I choose a name at random from my trusty hat. 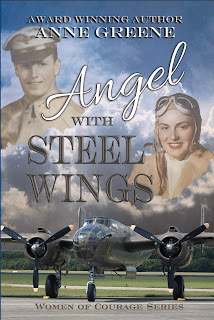 Johnny Alexander won a copy of Angel With Steel Wings. Johnny, please send me your snail mail address so I can send you an autographed copy of Angel. My email address is annewgreene@gmail.com.